DUE TO PLACEMENT REQUIREMENTS, WE DO NOT ALLOW ONLINE REGISTRATION FOR OUR REGULARLY SCHEDULED FALL AND SPRING CLASSES. You can, however, register online for all masterclasses, special events, adult exercise and dance sessions, our Inspirations program, and summer programs. Please note all of these programs require payment at the time of registration. If you do not complete the payment process online, you will not be registered. If you need assistance, please contact us at 757-229-1717. 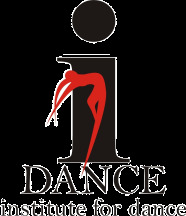 Already Registered with The Institute for Dance, Inc.? New to The Institute for Dance, Inc.? If you have taken classes before with The Institute for Dance, Inc. and you have given us your e-mail address, try the forgot your password link. If not, please contact the office to give us your e-mail address and to set your password.